Brussels – It’s a surprising success story. While my new study on Holocaust revisionism details how many other Central European governments are rehabilitating World War II collaborators and minimizing their own guilt in the death of Jews, one former communist country has gone in the other direction – Romania. It has recognized the findings of an international commission that the country’s wartime government is responsible for the murder of up to 380,000 Jews and more than 11,000 Roma. Laws outlaw revisionism and rehabilitation of war criminals. Holocaust educational programs are widespread, even at the National College of Defense, where the army’s top officers learn about wartime history and the responsibility to disobey illegal, immoral orders. The Romanian example offers important lessons about what countries need to do to accept their guilt – and how this acceptance helps them both at home and abroad. It is a path to be followed by other Central European countries such as Croatia, Poland, and Hungary, recently liberated from communism, but who have now fallen into the grip of ugly nationalist populism. Romania now holds the six-month rotating European Union Presidency and brought its fight to Brussels at a crucial moment, when anti-Semitism is rising across the continent. In a survey addressing more than 16,000 Jewish people in 12 European countries late last year, the EU’s Fundamental Rights Agency found 90% of respondents felt anti-Semitism was growing in their country and 30% had been harassed. Over a third avoided going to Jewish events or sites because of safety fears. But the danger goes beyond these attacks. Issues that, on the face, have nothing to do with Jews – migration or a protest movement sparked by fuel prices – suddenly are made to be all about the Jews. Centuries-old stereotypes have reappeared: the conniving Jewish financier, the all-powerful Jewish conspirator buying political influence or acting as “globalist,” pulling the levers of power for their own enrichment. The common theme is that the Jewish people are an Other who do not belong within European society. During World War II, these themes infected Romania. In November 1940, the country joined the Axis alliance. Anti-Semitic laws proliferated. The Romanian Iron Guard attacked the Jewish population. Under General Ion Antonescu, Romania joined forces with the Germans in June 1941 for the invasion of the Soviet Union. 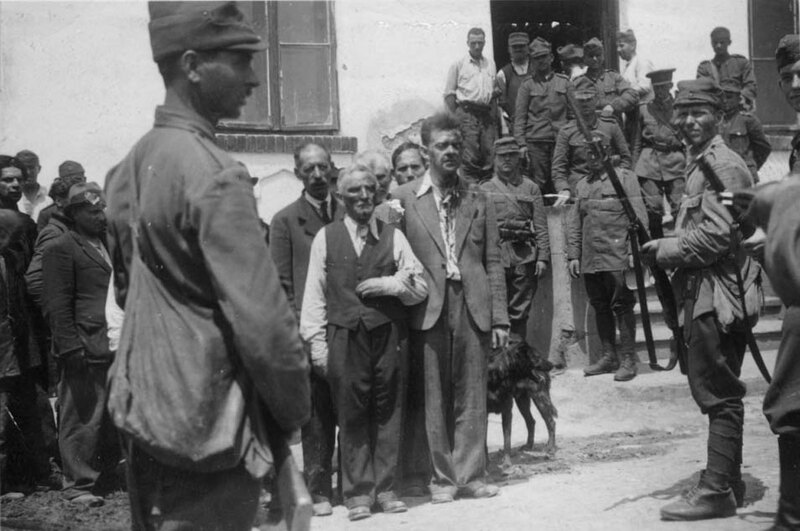 Romanian and German troops together began a systematic massacre of the Jewish population in Bessarabia and Northern Bukovina, deporting the survivors to Romania operated concentration camps. The Antonescu regime extended the deportations to Southern Bukovina and Dorohoi. Between 280,000 and 380,000 Romanian and Ukrainian Jews were murdered or died during the Holocaust in Romania, with an additional 135,000 Romanian Jews in Northern Transylvania perishing. The country began to come clean about its past when Romania negotiated entry into NATO and the European Union. Romania responded like a star student. It joined the International Holocaust and Research Alliance (IHRA) in 2004, chaired the alliance in 2016, and adopted the IHRA’s working definition of Antisemitism in 2017. Crucially, in 2003, the Romanian government appointed Nobel Peace Prize laureate and Romanian Holocaust survivor Elie Wiesel to preside over an International Commission on the Holocaust in Romania. The Commission found Romanian civilian and military authorities responsible for the murder of up to 380,000 Jews and more than 11,000 gypsies. The Romanian government recognized the report’s findings. Since then, Romanians have, for the most part, come clean about the dark spots in their past. The country has created alternative and unprecedented educational programs at the National College of Defense. Since 2002, the college has trained Romanian military leaders about what their predecessors did during World War II. Three years ago, it began to organize training with magistrates, policemen, judges, and prosecutors. Similarly, the Elie Wiesel Institute organizes training with police officers and each year holds a summer course. Police officers can choose from among various topics, one of which is on the Holocaust. Another important current initiative is a new Museum of the Holocaust in Bucharest, which is under construction and soon to be opened. A small Museum of the History of the Jews and the Holocaust already exists in a synagogue. Romania today holds the six-month rotating presidency of the European Council. It has made the fight against anti-Semitism and Holocaust revisionism a priority. It recently hosted a major conference inside the European Parliament. Another conference is underway this week in Bucharest. Compare this with its neighbors Hungary and Croatia. Both countries refuse to appoint an independent commission to study their troubled Holocaust pasts. Both continue to rehabilitate war criminals. Both continue to deny their own responsibility. Romania shows that they can improve. An important first step for its neighbors would be to appoint an independent Commission to study its past. Let the facts fall where they might. This would help depoliticize the debate over the past and move it onto a solid, impartial ground.